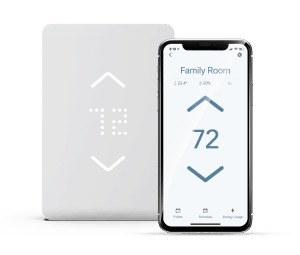 We’ve spent a lot of time reviewing the best programmable thermostats as well as the best thermostats with remote sensors for larger homes, but recently something dawned on us. One out of five homes in North America (a full 20%!) has high voltage or line voltage HVAC systems that won’t work with the household names like Nest and Ecobee. So we’re here to help anyone with baseboard heaters or other high voltage systems. Below we review the best line voltage smart thermostat so you can bring your home into the 21st century. In Swedish, Mysa means “comfortable” or “content.” And, this high voltage thermostat was definitely designed to make you content and to make your home temperature comfortable. 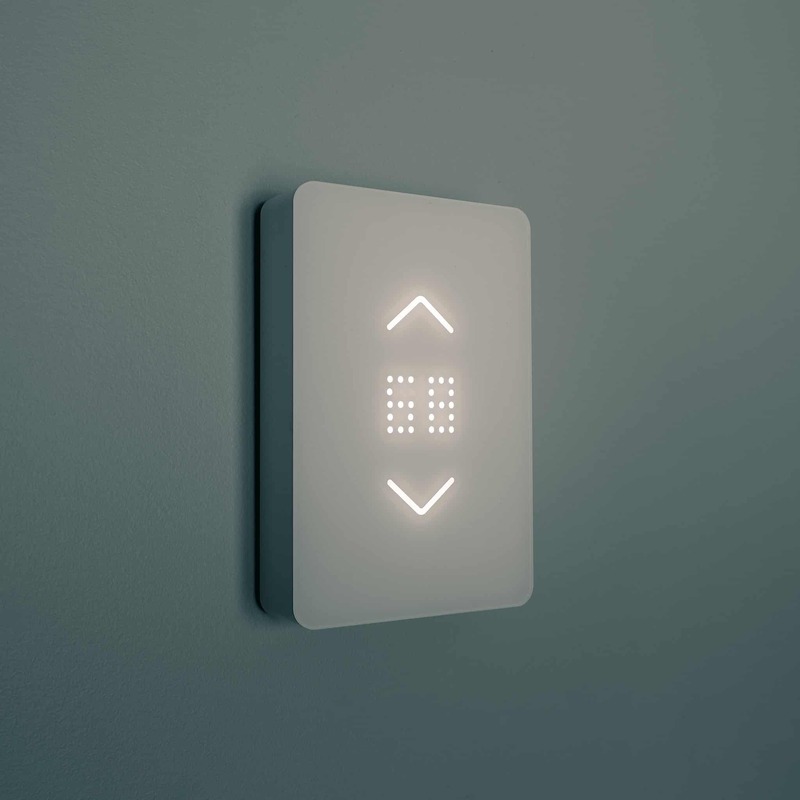 Mysa is a smart thermostat that is meant to be used in homes that use electric baseboard or fan-forced heaters. Baseboard heaters are, as their name suggests, installed on the baseboards of rooms. Usually, they are installed under windows to warm cool air and keep the room temperature cozy. They work by transmitting electric currents through wires encased in piping. To be more precise, this means that a baseboard heater pulls cool air in, warms it with electricity and then pushes hot air out. One great benefit of using baseboard heaters is that this allows you to heat only the rooms that are in use, meaning that you will definitely reduce heating costs. However, these heaters aren’t the best choice for homes that require high heating loads. So, where does the Mysa high voltage thermostat come in? Its role is to connect all baseboard heaters to a central control and allow you to manage home temperature in every room. Mysa smart thermostat can be used in homes with high voltage electric baseboard heaters as well as electric fan-forced heaters. Thanks to its simple interface, users of all ages can adjust the temperature in their home with Mysa thermostat. What impresses many users once they unbox the Mysa high voltage thermostat is its build quality. Even though the unit features a clean, modern design it feels quite durable. And, when compared to a traditional thermostat, this one is noticeably larger. The size is actually justified by a giant heat sink which is used for cooling the controller and can be seen once the faceplate is removed. The thermostat is composed of two parts – the power board and the faceplate. The power board is mounted to the wall and the faceplate contains the controller board. One nice touch is that the manufacturer made sure to include mounting screws and wire nuts which are necessary for mounting the thermostat. Installing Mysa high voltage thermostat is relatively simple if you have any experience in electrical work. For example, if you are capable of installing a smart switch then you should have no problems with installing this thermostat. Just like many other smart devices, this one also requires a neutral wire. So, you should make sure you have one available before even making the purchase. The thermostat comes with an instruction manual that covers the installation and every step is explained clearly. In addition, the manufacturer made sure to provide an installation video on YouTube. Using Mysa thermostat is very simple. And, one great thing about it is that you can adjust this thermostat manually and remotely. 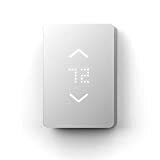 The thermostat comes with two touch buttons which allow you to increase or decrease the room’s temperature easily. When it comes to remote control, this high voltage thermostat comes with an app that is compatible with Android and iOS smartphones. The Mysa app is very simple to use and it is quite convenient since it allows you to set the temperature in your home remotely. However, before you get started, you will need to create a Mysa account. Besides being able to adjust your home temperature from anywhere in the world (literally), the app has a few more features. You can use it to view current temperature and humidity, create zones, and set schedules. The schedules can be created for different days of the week and they can be set through a wizard or manually. Another awesome part of the Mysa app is the ability to check out your energy usage by zone. This will help you stay comfortable while also keeping costs under control during those long, chilly stretches of winter. The only HomeKit compatible line voltage thermostat available. Features sturdy build and appealing design. The manufacturer is constantly releasing updates to improve functionality. Compatible with smart home systems such as Google, Amazon Alexa, and Apple HomeKit. This thermostat is expensive when compared to standard, programmable thermostats. Some users stated that the touch buttons could be more responsive. Some users have experience long wait times before shipment. Frequently asked questions about the Mysa line voltage thermostat. How Many Amps Is Mysa Smart Thermostat Rated For? The Mysa thermostat is rated for 16 Amps. Does This Thermostat Work With Hydronic Baseboards? It does, as long as the hydronic baseboard is self-contained. In order for the thermostat to work properly with such baseboards, it should be set to the “fan-forced” setting. What is the Lowest Temperature Setting? The lowest temperature setting is 41 degrees Fahrenheit. There is also a complete off mode if you don’t want the heaters to turn on at all. What is the best line voltage thermostat for you? Mysa is a high voltage thermostat perfect for homes that use electric baseboard or fan-forced heaters. Like every other smart thermostat, it comes with an app that allows the user to control the temperature in his home remotely. In addition, the manufacturer is constantly releasing updates that improve the functionality of the app as well as of the thermostat. What homeowners with high voltage heating will love about this thermostat is that it doesn’t only add smart home functionality to their heating system. It is a great solution for all those who would like to lower their energy consumption and heating costs. According to the manufacturers, all Mysa owners can save at least 15% on their energy bill.